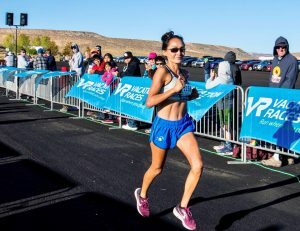 This positive running story is about Vanessa Kvien, a Navajo athlete from Winslow, Arizona. 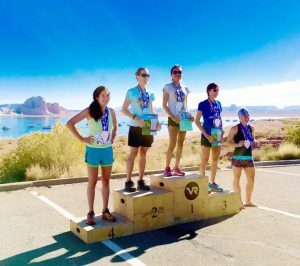 I first met Vanessa at the Lake Powell half marathon in 2016, where she had a brilliant race, and finished first woman overall. I was instantly impressed with her calmness post race, along with her humility. She also took some time to cheer in other runners finishing behind her. I was also touched by her deep connection to her own community, and the importance that she placed on being the best role model she could be to encourage Native Americans to follow the path of wellness. We had the opportunity to catch up with Vanessa just recently, and this interview is the result. Can you share a brief recap on your running and racing history so far? I entered my first half marathon (at the ripe old age of 29!) in Monument Valley in December 2015. Prior to this I really hadn’t done any running. I was however quite active in fitness. I was surprised and encouraged by being able to finish 4th in the women’s division without any specific training. I was also very fortunate to find an awesome running coach, Katherine McGee, of Flagstaff. She helped me to train for my first marathon at the Big Cottonwood, Utah, in September 2016, where my time of 3:13 qualified me for the Boston Marathon. I then competed in other half marathons and some 10ks. I ran my first Boston Marathon in April 2017. Currently I’m training for the California International Marathon coming up in early December. What has been your favorite race so far in your career, and why? I would have to name two races as memorable. 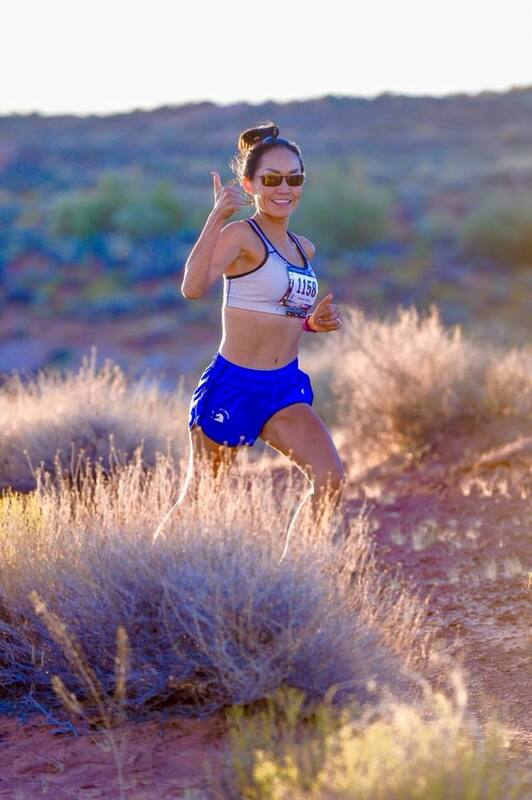 The Monument Valley half marathon is a beautiful course through the most majestic landscape of the Navajo Nation. The Boston Marathon has the unsurpassed enthusiasm of thousands of spectators who line the entire course cheering on every participant, boosting their energy throughout the race. You teach health and fitness at the Winslow Indian Health Care Center in Northern AZ, What do you like best about your role, and what’s the biggest challenge you have to overcome to be successful in your role? The most satisfying aspect of my work in fitness is providing people some help on the path to an overall healthier lifestyle. In particular, some of the most gratifying moments have been hearing stories from our students of helping them in losing weight after attending our classes at the Winslow Wellness Center. The biggest challenge I encounter is keeping my classes appropriate for students of all different fitness abilities. How important has it been to overcome stereotypes of Indian culture and encourage Navajo people to be active and make positive health decisions about themselves? The health of the Native Americans, including Navajos, has suffered greatly from the ravages of adapting to the modern Western-lifestyle and diet. We also lag far behind in recognizing the need to take charge of our own health and well-being through fitness and nutrition. The high rates of diabetes and obesity in our people result from factors including poverty and lack of access to health-giving food and activity. Through my fitness classes at the local Wellness Center and my running endeavors, I strive to present a positive role model encouraging other Native Americans to pursue a similar path to wellness. The Navajo Way Blessing Ceremony tells us to “Walk in Beauty;” I believe that in order to recapture the full beauty of our culture, we must first work to restore the balance in our being through healthy lifestyle choices. 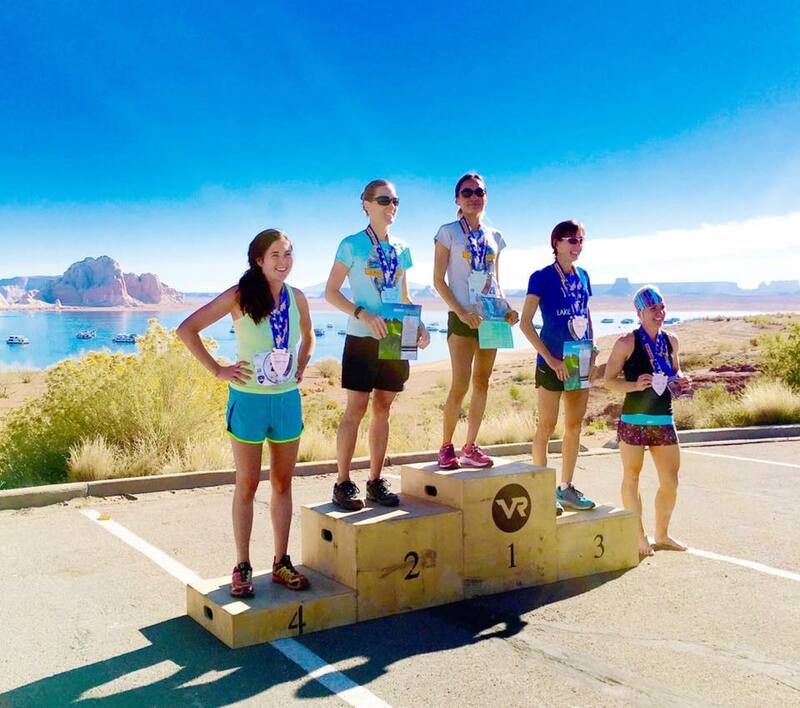 You have run the Lake Powell half marathon twice now. It’s one of the Vacation Races series of half marathons – what do you especially like about that race, and have you run any others in the series? I’ve ran at Lake Powell in both 2016 and 2017. This is a spectacular course held at another uniquely beautiful setting. While mostly a road race, there is a short but scenic stretch on trail. The course also features a good mixture of ups and downs. I enjoy a course with varied terrain much more than a relatively flat race. I haven’t yet had the opportunity to run any of the other Vacation Race series, but hope to make it to Bryce Canyon for the half marathon next June. 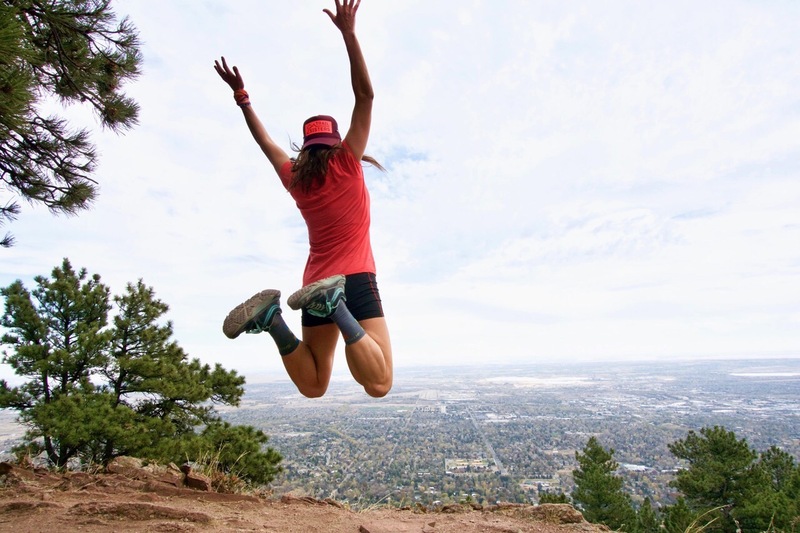 What do you like best about running, and how do you get motivated when you don’t feel like getting out and training? I love the pure exhilaration of running and the competition of racing, the feeling of pushing myself to always do my best. I also enjoy the camaraderie shared with other runners and friendships developed both in training and racing. My motivation comes first from knowing that every day of training keeps me on course towards realizing my goals as a runner. On those days when the wind is blowing, or my muscles are aching, or the watch didn’t charge, I remind myself of how fortunate I am to have the ability to run and the support of my coach, family and friends to continue working toward my full potential. Can you share one thing that is uniquely Vanessa that no one else would know by looking at you? What are your running and life goals for the rest of this year, and 2018? My running goal for the near future is to run a sub-3 marathon. My long term goals include continuing improvement in my running and stretching my mileage to eventually run an ultra. I’m also working towards a degree in Fitness & Wellness with the hope of expanding my opportunities to help my people in a more comprehensive way. We wish Vanessa every success at CIM, and for her running and life goals in the years to come. Would you like to be a part of the Positive Running Movement? 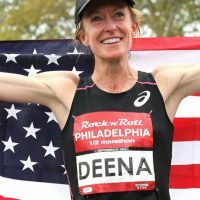 Our bi-weekly newsletter contains more positive running stories and tips on how to get the best from your positive mind as an athlete. Terry Chiplin, the visionary behind activacuity, provides positive coaching sessions for clients, working with athletes to enable a positive focus on their status and goals. He can also create personalized guided imagery sessions for clients, delivered as an mp3 audio file that you can listen to on multiple devices.activacuity provides a daily dose of positive guided imagery or visualization sessions. Find out what you can do when you make that mind-body connection – check out our subscription options here. You can help raise funds for the American Cancer Society by becoming a subscriber to activacuity®. We are thrilled to announce that from February 1, 2017, we are a partner with the American Cancer Society.Use the code activacssupport2017 when you subscribe for an annual membership through our website, and $10 of your subscription goes to the American Cancer Society. We will also provide a free subscription for activacuity® to a cancer survivor for each paid annual subscription received. The Society will establish a list of cancer survivors that will benefit from the partnership, using the Patient Navigator Program. Our goal is to raise $5000 for the Society over the partnership period.